We started Fireflies because we love cinema and we want to talk about it differently. Like having a post-film discussion over a beer with a good friend, Fireflies relives the blow-by-blow joys of great cinema. We believe reading about an incredible film should be as exciting and enjoyable as watching it for the first time. 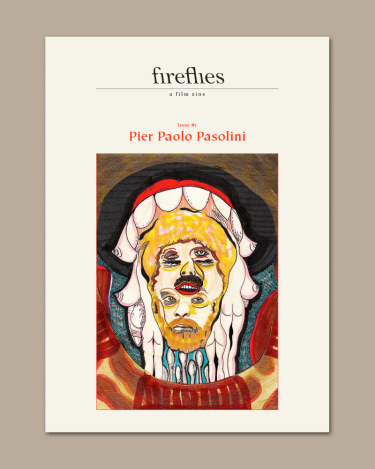 Each issue, Fireflies assembles an international group of writers, visual artists and critics to celebrate the work of two extraordinary filmmakers we admire and that we feel don’t enjoy the representation they deserve. 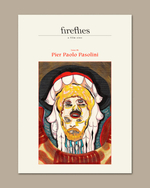 Through 96 pages of personal essays, interviews and creative responses such as short stories, poetry and visual art, Fireflies talks about the work of these select filmmakers in a mode as accessible and profound as the films themselves, inspiring those unfamiliar to seek them out and those already familiar to consider them anew. Fireflies is created by a small group of editors and designers, split between Berlin and Melbourne.